Ed Ed is Canadian born now Berlin-based DJ/producer set to release his debut EP on DFTD. His tracks have previously sparked remixes from Oliver Dollar and Copyright, and have received support from Kenny Dope, Roger Sanchez, and Simon Dunmore to name a few. 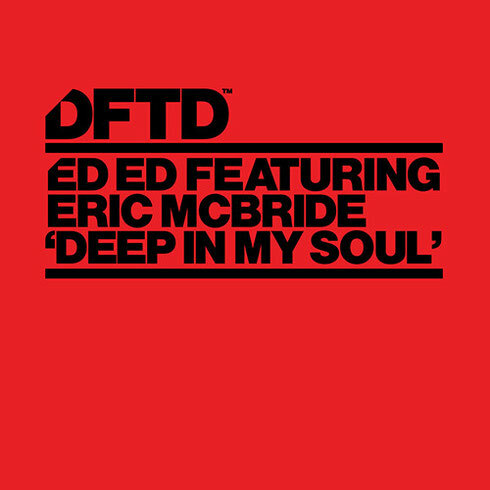 Included in the ‘Deep In My Soul’ EP is Ed Ed’s original track featuring Eric McBride, a remix from David Keno, a remix and dub edit from Sasse & Ed Ed, as well as an Acapella and Tool track. Ed Ed’s up beat and crisp original production champions a smooth rolling bassline and soulful yet catchy vocal sequence. The ‘In My Soul Tool’ track features wet edits of Eric McBride’s vocal line ‘In My Soul’- a good tool to add reverberating vocal dimension to DJ mixes and sets. The Sasse & Ed Ed Dub and Remix both have a more drop-oriented composition than the original. With catchy 808 claps and articulated hi-hats the dub and remix play out perfectly as club tracks. The choppy and reverberating chords in David Keno’s remix rip smoothly over the track’s toe-tapping percussions making the remix a real stand out on the EP. Check it out below, it's out 15 June.